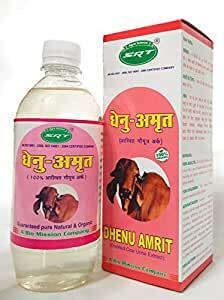 Dhenu amrit is DISTILLED GIR COW URINE EXTRACT, it is anti-fungal and also anti-bacterial, kills most of the harmful bacteria of the human body. 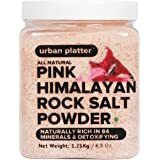 It helps in curing in the following problems: Stomach diseases, acidity, Cold & Cough, whooping cough, ear disease, arthritis, joint ache, chronic, diarrhea, dandruff control, increase immune power of children, liver diseases, cholesterol control (Reduce weight), diabetic control, migraine, headache, immunity against cancer and advantageous for other incurable diseases. Dhenu amrit also helps in reducing hair fall, is useful for controlling mosquito and house fly, keeps the atmosphere bacterial free. Use it for cleaning the floor. Dosage: For Adults: 10-15 ml of Dhenu Amrit mixed into a cup of water should be taken at morning on empty stomach and at night before sleeping. For Children: The above dosage amount should be half for children. Precaution: To be kept in cool and dry place and should be protected from direct exposure to sunlight. Excellent Prodcut. Value for Money.